Hall's Pond Here's a view of a small wildlife sanctuary nestled in Brookline, Massachusetts. It's called, Hall's Pond Wildlife Sanctuary, and is maintained entirely by volunteer efforts. 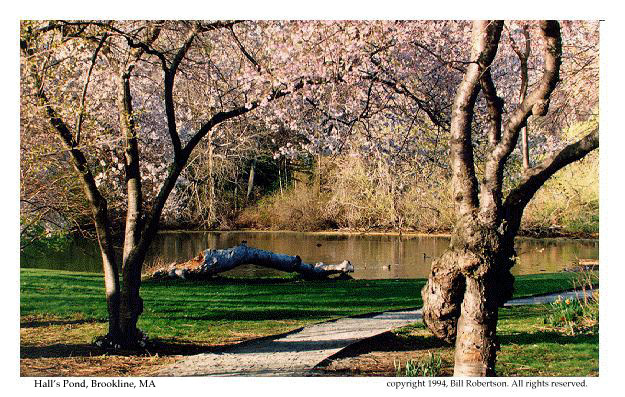 Only an acre or two in size, it's a soothing, restful spot minutes away from the Boston University campus. The photo was taken in the Spring of 1994.